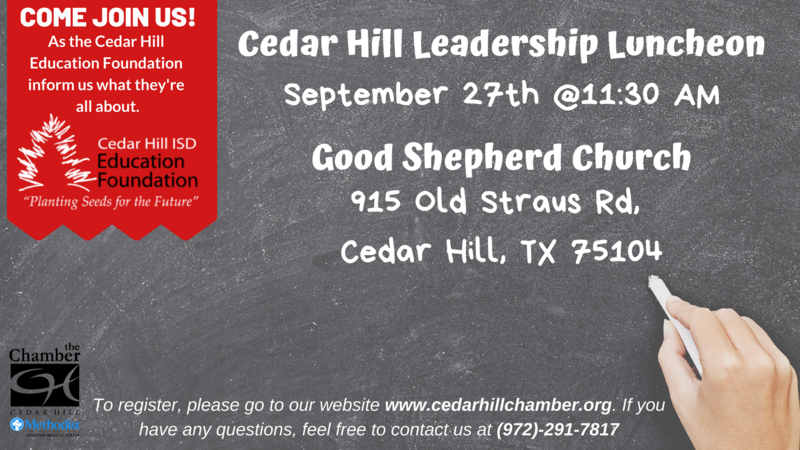 Come hear about the announcement of a great new project the Cedar Hill Education Foundation is embarking on through a partnership with the Cedar Hill ISD! 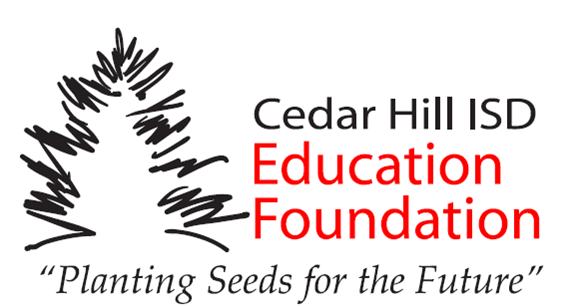 Also, learn what the Cedar Hill ISD Education Foundation is all about. As a local non-profit that supports our local school district exclusively, the Foundation has big shoes to fill. Learn about more about the $550,000 in donations to the CHISD since their inception and more. Plus learn about how the community partnerships that exist in Cedar Hill are bettering our community one day at a time.